Can collagen help with weight loss? We all want to look better with a healthy, toned appearance. Many people have asked me if a collagen supplement should be incorporated into a weight loss plan. A study was conducted that compared collagen protein against whey protein in women and the researchers found that lean body weight was retained better for the group consuming collagen versus whey. A second study compared collagen against several proteins like casein, soy and whey for breakfast. They found that collagen was 40% more satiating that other proteins and the subjects consumed 20% fewer calories throughout the day. In other words, collagen helps you feel more full and naturally can help reduce your caloric intake, possibly leading to weight loss. Finally, many people talk about collagen’s ability to tighten the skin against the body. During weight loss excess skin may sag, especially around the triceps, abdomen and chin. By rebuilding the collagen matrix within the skin it may appear tighter against the body and combat loose, dangling skin. So to reduce calories and retain more lean body weight for sculped appearance, consider taking a collagen supplement like NeoCell’s Super Collagen, Derma Matrix, or Beauty Infusion. Looking for a delicious way to start your day? Kick start your energy and lose weight with this coffee recipe packed with healthy fats and Certified Paleo-Friendly NeoCell Collagen. Dash of spices – try pumpkin spice, vanilla, nutmeg, cacao, etc. Combine with an immersion blender or counter top blender. Do not attempt to mix with a spoon or oil will remain on top. NeoCell’s Move Matrix™ is a comprehensive joint formula containing scientifically advanced ingredients that work synergistically to support overall joint health and comfort. Connective tissue structure is aided by Collagen Type 2, MSM and Vitamin C for proper mechanical functioning. Joint hydration and cushioning are supported with moisturizing nutrients hyaluronic acid, glucosamine and chondroitin. A blend of powerful antioxidants turmeric, ginger root, resveratrol, boswelia, pine bark, and black pepper extracts help to help with a healthy inflammatory response. Structure: Collagen is the main structural protein that creates a mesh framework that holds the body’s tissues together. Collagen production is enhanced by Vitamin C, which also holds the fibers of collagen together and provides antioxidant benefits. Likewise, MSM contains a bioactive form of Sulphur that creates strong bonds in connective tissue. Hydration: Moisture is critical to joints because for both lubrication of the joints in the form of synovial fluid – much like motor oil lubricates an engine – and for cushioning as we move throughout daily life – much like the shocks on a car. Hyaluronic Acid (HA) is responsible for drawing water molecules into the joint. Glucosamine and chondroitin work in conjunction with HA to form a gel-like “goo” that pads the joints. Antioxidants: Free radicals are wrecking balls that bounce around the body and cause tissue degradation, resulting in pain and inflammation of the tissues. Antioxidants are nature’s way of neutralizing the destruction free radicals. Each antioxidant contains unique compounds that target different tissues and pathways within the body. An important distinction with antioxidant-containing herbs is the form and concentration of the active components. Ground powders are not condensed and bulky substances like fiber and cellulose remain. Extracts concentrate the value of the herbs by removing inactive components of the plant, resulting in a more powerful bioactivity in the body. For example, turmeric can be a seasoning used in cooking as a powdered root, but when curcumin is extracted it forms a highly effective supplement. The Move Matrix Blend™ contains multiple antioxidants in the form of supplement-grade extracts. Anyone wanting an all-in-one joint formula should look no further than NeoCell’s Move Matrix™! Chef Charles Chen (charleschen.tv) shares one of his favorite healthy recipes for Nutrition Month – a mouth watering Matcha Truffle with NeoCell Collagen! You can definitely “have your cake and eat it too” with these sweet, healthy treats. Your family and friends won’t even know that this delicious dessert is good for them! 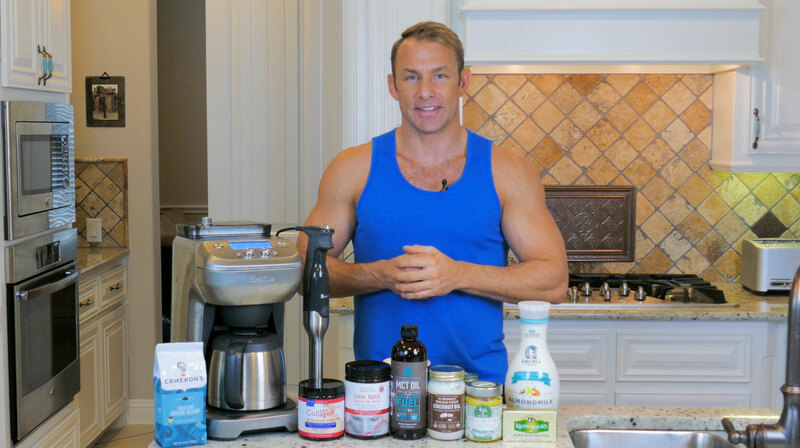 Start your day off right with Chef Charles Chen’s (see http://www.charleschen.tv/) superfood collagen smoothie recipe. It is a delicious blend of power-packed foods and the secret ingredient – NeoCell’s Super Collagen powder for anti-aging beauty, joint and bone benefits. Raise a glass of this nutrient dense smoothie and cheers to your health! Makes 2-4 servings, reduce ingredients as needed for individual servings. If you’re missing an ingredient, substitute for what you have available. A huge industry has evolved to fill the void created by agricultural corporations. As the years go by and our food turns into flavorless cardboard, a person is forced to consume more and more supplements just to feel well and receive all of the nutrients required for living a vibrant life. As a “hippie pill popper” I’ve adapted and – excuse my boasting – developed the ability to swallow a handful of supplements in a single gulp (check out this video for proof). But I certainly don’t look forward to adding another capsule to my regimen! Anything I can do to expand the nutritional value of my foods is a welcome change. Fortunately, creative chefs are partnering with innovative companies to pioneering the march towards functional foods and nutritionally-enhanced recipes. Chef Charles Chen (check out charleschen.tv) is a part of a new breed of culinary artists that incorporate supplements into mouth-watering recipes. Most people, including myself, are initially skeptical that adding a supplement will not affect the taste of a dish, never mind help improve the flavor. It wasn’t until I tried Chef Chen’s amazing creations at this year’s EXPO West trade show that I was convinced. Particularly memorable was a zucchini pasta with a blended seed-based sauce that featured NeoCell’s Derma Matrix powder to add a creamy texture. The days of choking down bitter tasting, gritty smoothies appear to be limited! Let’s all jump on the nutritional bandwagon and redefine “health food” one delicious bite at a time. NeoCell’s Resveratrol Antioxidant product states on the label that it yields 100mg of Trans Resveratrol. That is very important! Resveratrol is different than Trans Resveratrol. Regular resveratrol has a very low bioactivity rate (1-3% or less) and is quickly excreted from our body without doing much. Trans Resveratrol is the bioactive form and provides all those amazing benefits that you hear about. All this resveratrol talk came about because of something called the “French Paradox”, which explains how French people have worse diets and drink more booze, but have better health than most of the world (according to some health markers like cardiovascular disease). The original studies concluded that resveratrol was the key – a component of the red wine that everyone drinks in France. NeoCell blends trans resveratrol from a number of high quality sources like muscadine grapes (a hearty grape used to make red wine), grape seed extract, pomegranate extract, and quercetin. Commercially, grape skin extract can be more expensive, so people started looking for other sources of resveratrol. They discovered knotweed. But knotweed (depending on the species) may not always have as high of a concentration of trans resveratrol and is considered by many people an inferior product. We state that our Resveratrol product do not contain knotweed for this reason. We also process our product without high heat, chemicals, and UV light so it retains it’s bioactivity. It doesn’t get any better than NeoCell Resveratrol!